Snow and ice make a pretty dangerous tag team. 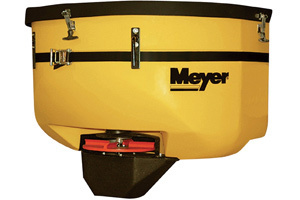 Our plows can't be beat when it comes to removing either but a quality spreader can keep snow and ice at bay when you're not plowing, before plowing, and after plowing. 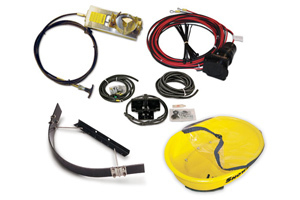 There's a tried and true saying: "An ounce a prevention is worth a pound of cure." 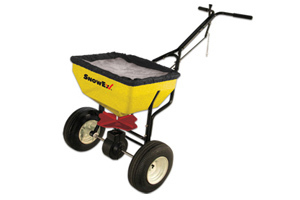 Sure, Snow Plows scrape ice and snow - but with a salt spreader, you don't have to worry about snow and ice forming around your property in the first place. 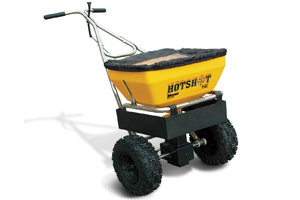 We have salt spreaders suited for different kinds of jobs - walk-behind spreaders for home and office use as well as tailgate spreaders for larger, commercial jobs. 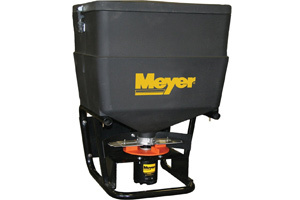 If you're not sure which salt spreader is the right choice for your vehicle or property, one of our knowledgeable customer service reps will guide you through the selection process. 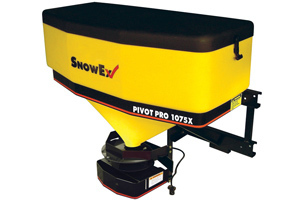 Once you've selected your salt spreader, Snow Plows Direct will ship it to you at no additional cost. The benefits of rock-salt are two-fold. First of all, there's a texture to it that gives any surface a better grip. 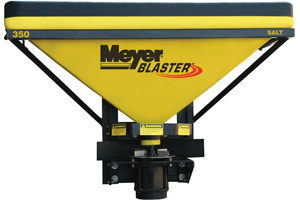 In this way, sometimes salt or other powders are used to make streets and sidewalks less slippery. But salt has another power, saltwater is harder to freeze then fresh water. So when salt touches ice, it quickly melts - turning slick ice, into hard-gripping concrete. 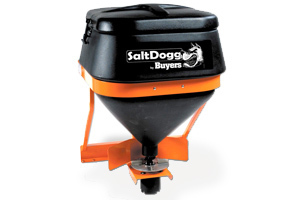 A salt spreader is the best way to ensure you leave an equal spread of salt in your wake. Putting a salt spreader on the back of your truck while the front end holds a plow will make your truck or SUV and unstoppable snow-beast. 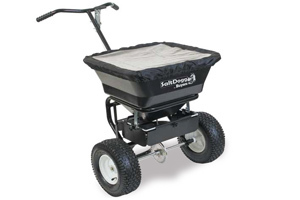 A walking salt spreader will allow you to make your sidewalks safe for your entire neighborhood.